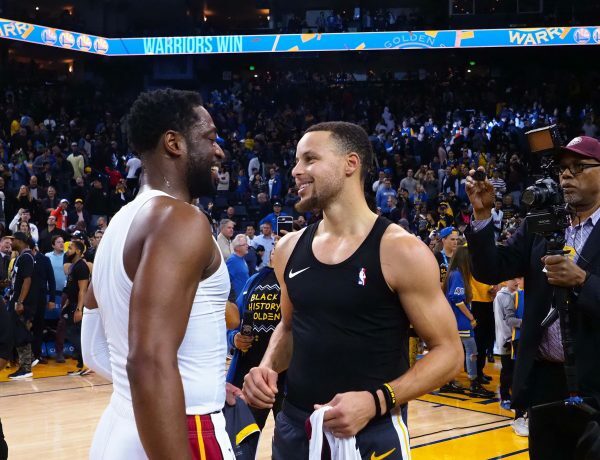 The Miami Heat lost to the Golden State Warriors in a back-and-forth battle on Sunday night, and shortly after the game, Stephen Curry took to Instagram to express his deep respect for Dwyane Wade. 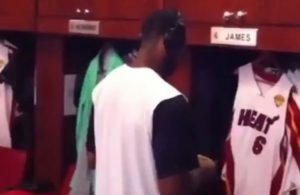 It wasn’t before long that Wade took to the post’s comments section to return the favor. 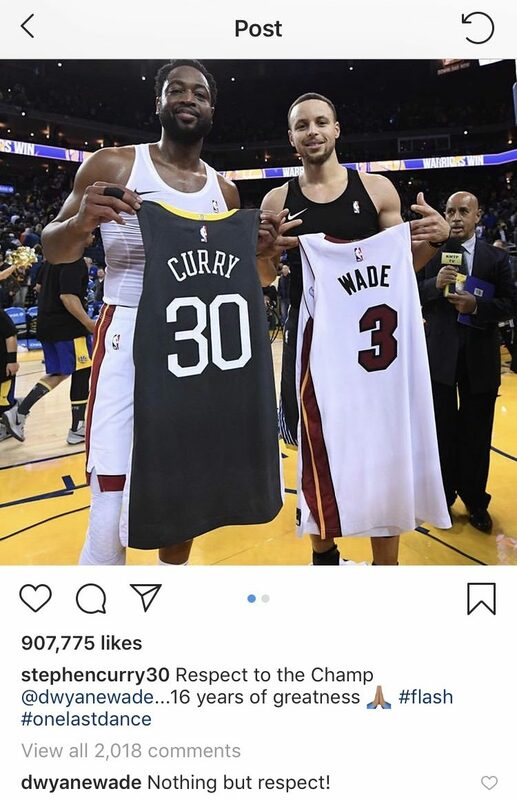 It was no surprise to see Wade swap jerseys with Curry following the game. While there are multiple former MVPs on the Warriors’ roster and even more All-Stars, Curry is the unquestioned heart and soul of the team and one of the major reasons why they have won three out of the last four championships. 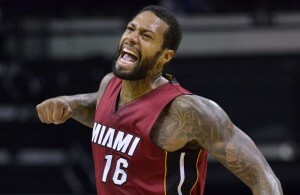 For Heat fans, Sunday night’s loss was a tough one to swallow. Miami was able to take a three-point lead late in the game, only to watch Golden State score the final five points of the contest to win, 120-118. 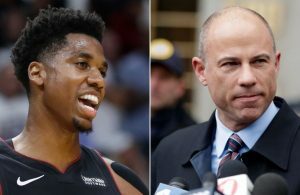 Unfortunately, that kind of outcome is what Heat fans have come to expect as of late. They’ve lost seven of their last 10 games and are currently on the outside looking in at the Eastern Conference playoff standings. They’ll have to work to get a win in their upcoming game this evening, when they travel to Denver to take on the Nuggets.